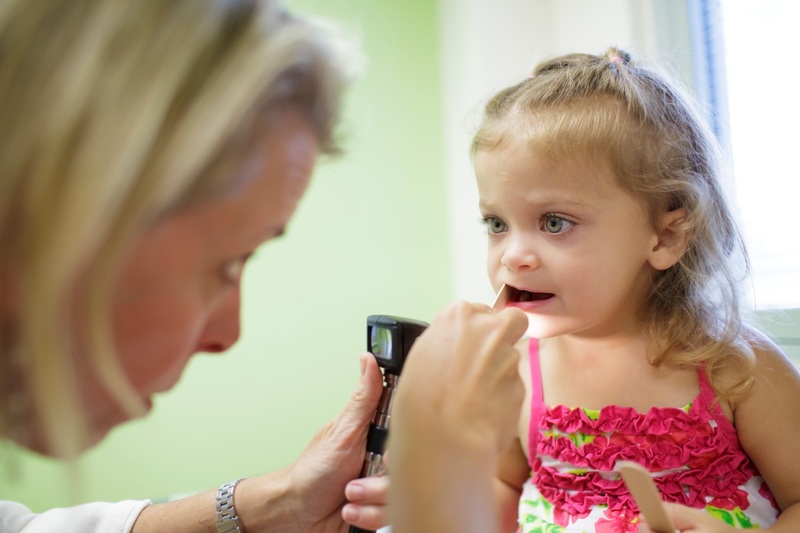 The Institute for Child Health Policy is dedicated to improving the health of children through rigorous science. The institute leverages large data sets and employs a variety of scientific methods to develop and test novel approaches to improving health care, promoting health and wellness, analyzing policy effects, advancing health research, impacting communities and helping the most vulnerable populations. ICHP has enjoyed a strong year in research and collaboration. The institute’s faculty members have expanded their diverse funding portfolio with a total of $21.2 million in grant funding in fiscal year 2013-14 as well as $48.2 million in newly garnered awards. ICHP faculty also continued to increase their research productivity with 94 publications in the past fiscal year. In an effort to spur interdisciplinary research across the University of Florida’s College of Medicine, Lindsay A. Thompson, M.D., M.S., an associate professor of pediatrics, was selected as the first assistant director of clinical research for ICHP in 2014. In addition, the institute is actively recruiting candidates for several open faculty positions. Lindsay A. Thompson, M.D., M.S., an associate professor in the Department of Pediatrics and ICHP’s assistant director of clinical research, will play an integral role in strengthening the institute’s clinical focus and building upon its existing strengths in policy and community-based research. Statewide & National Research Portfolio: Building on its expertise in data analytics, ICHP also serves as key infrastructure support in the UF CTSI-led OneFlorida Clinical Research Consortium, which received $1.6 million in funding from the Florida Department of Health’s James and Esther King Biomedical Research Program in 2014 to create an enduring research infrastructure to improve health and health policy across the state. The statewide consortium includes all of Florida’s 67 counties and covers 13 million Floridians. In particular, institute faculty will play key roles in a tobacco cessation implementation science study conducted through the OneFlorida Cancer Control Alliance. The OneFlorida Clinical Research Consortium is also the site for a multipronged effort to increase HPV vaccination rates among boys and girls in Florida using innovative health information technology and the development of an oral health alliance. The oral health alliance will build upon ICHP’s expansive portfolio in pediatric oral health outcomes research. Several faculty members are working in conjunction with the Dental Quality Alliance to establish nationally recognized measures of oral health quality care. In addition, ICHP faculty members, in collaboration with the Florida Medical School Quality Network, received a grant to improve primary care providers’ use of evidence-based practices for oral health screening, in an effort to reduce and treat dental caries among Florida’s children enrolled in Medicaid. Dental caries are the most common infectious disease in children and, if left untreated, they can result in lifelong chronic health problems. The Florida Medical School Quality Network is an alliance of Florida’s nine medical schools and is focused on conducting innovative analyses addressing quality and outcomes of care among the more than 3.5 million Medicaid recipients in the state. ICHP also is collaborating with the National Dental Practice-Based Research Network, funded by the National Institute for Dental and Craniofacial Research, to conduct a feasibility study focused on conducting comprehensive health risk assessments in dental practices. Some children do not have contact with primary care providers, so being able to obtain dental care and screening for health risks wherever they are seen is essential. The Institute for Child Health Policy holds several competitive awards to evaluate Florida’s Medicaid programs, which gives ICHP faculty the unique opportunity to work with the states and their data to evaluate the quality and outcomes of care for children who are the most vulnerable due to their income, poor health status and racial/ethnic minority status. At the NIH and AcademyHealth’s annual conference on the science of implementation and dissemination, associate director of ICHP Kelli A. Komro, Ph.D., M.P.H., presented the preliminary results of her five-year, $4.7 million NIH-funded study, which is showing promise in reducing underage alcohol use in rural Oklahoma in partnership with the Cherokee Nation. In addition, the research team received two related NIH grants in 2014: one to support a postdoctoral fellow from the Cherokee Nation and a supplemental grant to explore patterns, risk factors and consequences of alcohol use among female Native American teenagers. Notable Faculty Accomplishments: In 2014, two ICHP faculty members, Komro and Alexander C. Wagenaar, Ph.D., continued their collaboration with the Public Health Law Research Program at Temple University, examining the impact of policies and laws, such as earned income tax credits, minimum wage laws and unemployment compensation, to address the social determinants of health outcomes, and their first publication from this research was in the SSRN’s Top Ten download list. In addition, Komro co-authored a prestigious Cochrane Systematic Review with researchers in England and Australia to evaluate the efficacy of school-based interventions to improve health. In addition, Betsy Shenkman, Ph.D., director of ICHP and chair of the Department of Health Outcomes and Policy, was selected for the 2013-14 class of the Hedwig van Ameringen Executive Leadership in Academic Medicine Program, which is a highly selective yearlong leadership development program that has the goal of increasing the number of women in the highest levels of leadership in academic medicine. Finally, Mildred Maldonado-Molina, Ph.D., an ICHP faculty member who spearheaded the recent launch of an online graduate certificate in health outcomes and policy for the Department of Health Outcomes and Policy, was named to the board of trustees of the Society for Prevention Research. Collaborations Across UF: ICHP brought together more than 100 UF faculty, staff and students at its annual research event to discuss children’s health research, and its poster session represented work from 28 different UF departments, programs and centers as well as 18 organizations from across the United State and world. The evening’s keynote speaker was Bill Hogan, M.D., M.S., an ICHP faculty member who was hired in 2014 as part of the UF Rising initiative to help leverage the power of Big Data in solving health care problems and improving health. 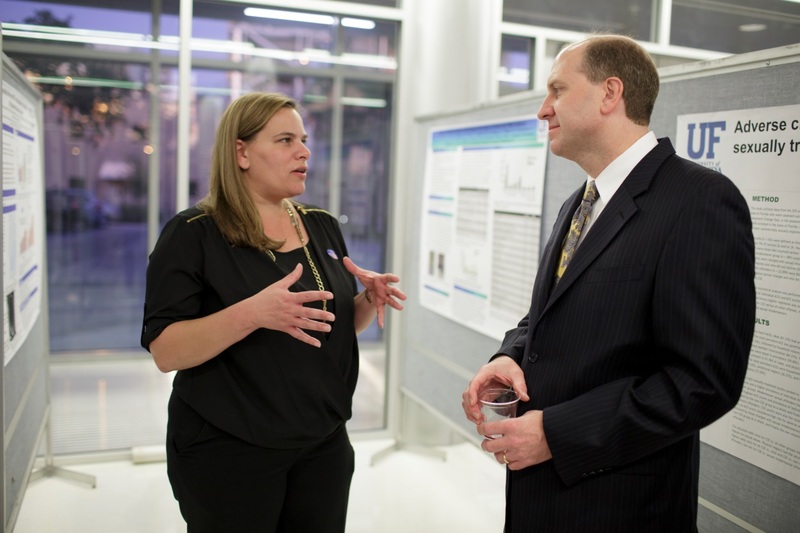 Hogan is currently recruiting for two faculty positions and recently launched an on-campus graduate certificate in biomedical informatics, which will enroll its first class in Fall 2015. Finally, the Institute for Child Health Policy, in collaboration with the Department of Pediatrics, funded three pediatric work groups at UF in 2014 to leverage data held in the Vulnerable Populations Integrated Data Repository (housed in the Department of Health Outcomes and Policy) to enrich the institute’s existing research portfolio and address emerging issues in children’s health.